We are the leading experts in customized Wine & Food Tours in Portugal. We know the regions, the wine hotels, the wineries, the restaurants, the wine cellars, the wines, their history and the families behind each one. We understand how important and stressful organizing a group/corporate tour is and, as such, we take the hassle out of your hands by providing you with a personal travel consultant and a close follow-up. Wine Tourism in Portugal is your one-stop portal for tour groups and corporate events for any occasion. We work with selected partners to guarantee a service of excellence with high levels of satisfaction. We provide an unforgettable and authentic experience that will make your trip a success. "We were a group of 19 people and I had to organize the tour. So I decided to ask the customer service, Mariana, to help me to book a minibus for the group. Mariana did a great job! She was so kind. 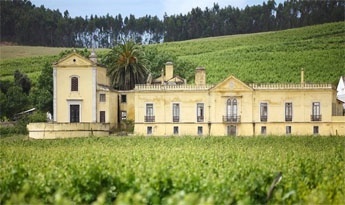 The vineyard Quinta das Carvalhas is amazing. The tour at the vineyard was extremely interesting and very professional guided. We all enjoyed every minute of the tour and we will recommend it!" 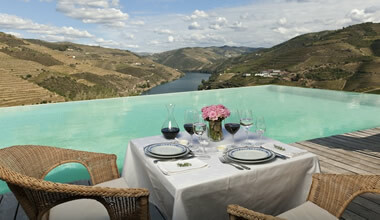 "Our group booked trips mainly in Douro Valley. I would like to thank for a very professional service and great communication! It was a great help for us to be able to rely on someone local to schedule and confirm all the visits. On every place, we've been expected (the vineyards were expecting us before our arrival) and on our last trip, we've been treated as VIPs :) I would highly recommend Wine Tourism Portugal for professional service, great communication, support, and flexibility. Fill in the form with your preferences and we will take care of the rest for you! 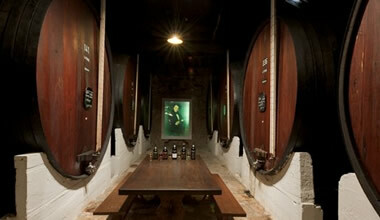 Visit the wine producing estates in the Lisbon region, from the most modern to the most traditional.